I have a lot of different camera bags, and for the most part they all get used. I have airport rollers, messenger bags, and even pelican cases. All depending on the type of job, and how far I have to travel, I have a good variety to choose from. What I haven’t owned in over 3 years is a backpack style bag, besides the huge FStop Tilopa, which is not a typical backpack bag for everyday use. I've tried several over the years, but none really impressed me. The new Think Tank Shape Shifter V2.0 bags changed that, and I was impressed enough to purchase one. Backpack style bags have never really worked for me. If I’m shooting a wedding, I typically bring one of my big airport roller bags to hold all of my camera gear and a messenger style bag to carry while shooting. The messenger bag is nice to shoot with, when I’m not using a Holdfast Moneymaker. A smaller messenger bag can hold a couple spare lenses for me, and a larger one can hold a couple lenses and a 2nd camera body/lens combo. This has worked for me over the past few years since I typically like to bring a lot of gear to weddings. Backpack bags were never big enough to carry all the gear I needed, nor were they very useful to shoot with since they aren't very easy to access on the fly. My biggest complaint with backpack style bags over the years have mainly been with their designs. Most are made like any other bag, by using dividers. The problem with that is, you need to make sure that the backpack is on a semi-flat surface before opening it, or your gear will fall out. The dividers protect your cameras and lenses from banging into each other while the bag is closed, but there is no protection preventing your gear from falling out. If you accidentally pick up a typical backpack bag and it’s not properly closed, you can easily damage all of your gear. For hobbyists, this design is fine. For a professional, it has always been a bit too risky for me. The Shape Shifter is designed differently. It’s not only built to be extremely comfortable, and durable, but you can actually open it without having to worry about all your gear falling out. Because of this, I can actually shoot with this bag comfortably on my back and quickly open it up on the fly to grab the gear I need. The first time I took the Shape Shifter out was on a 5-mile long adventure engagement shoot. A typical shoot that you would want to use a backpack style bag on, which is why I brought it along for the first time. It surprised me though, I found the bag very useful and could see myself using it on regular shoots. 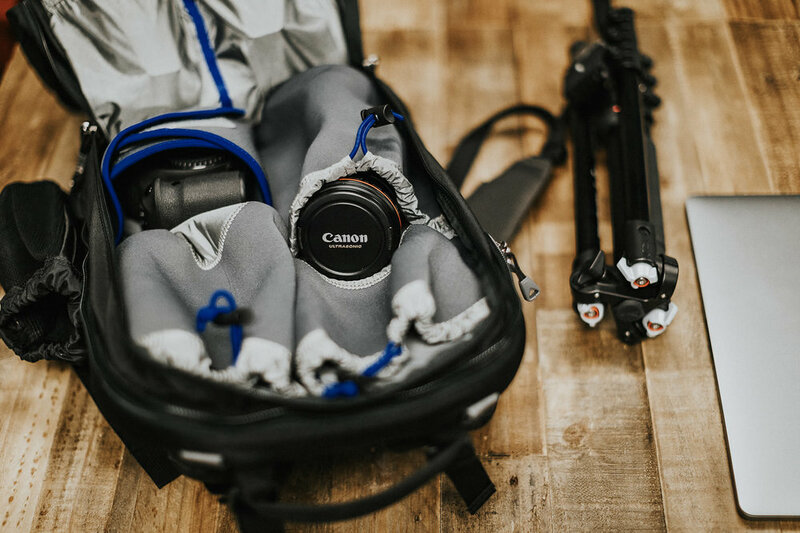 There's a lot of flexibility with how you pack it, and it's designed so that you don't have to worry about your gear banging around. I comfortably pack 3 lenses, along with a camera/lens combo. While I'm shooting, I can easily access the top and reach in to get one of the two lens pouches. There are a lot of smaller pockets to hold spare batteries, flashes, triggers, card holders, etc. Over the past couple months I haven't been necessarily gentle with the Shape Shifter, actually I've been quite rough on it. It has taken the beating well, and still looks brand new with a little cleaning. This bag is built to last. Over the past few years, the amount of gear that I bring with me to a wedding has gotten smaller and smaller. Even more so with my recent switch to Canon. Since purchasing the Think Tank Shape Shifter, I no longer need to bring a large airport roller. I now bring the Shape Shifter which I pack with 3 lenses, one camera/lens combo, along with 2 flashes, and other small pieces of gear. I still bring a messenger bag, which I pack with a 2nd camera/lens combo, and 1 or 2 other lenses. The Think Tank Shape Shifter is the first backpack camera bag that I’ve used in years, and that says a lot. I've actually had no desire to even try a backpack style bag when the Shape Shifter V2.0 was announced, but the unique style, size, and specs really impressed me. I have since bought and own the Shape Shifter 15 V2.0, which is the middle size out of three models. 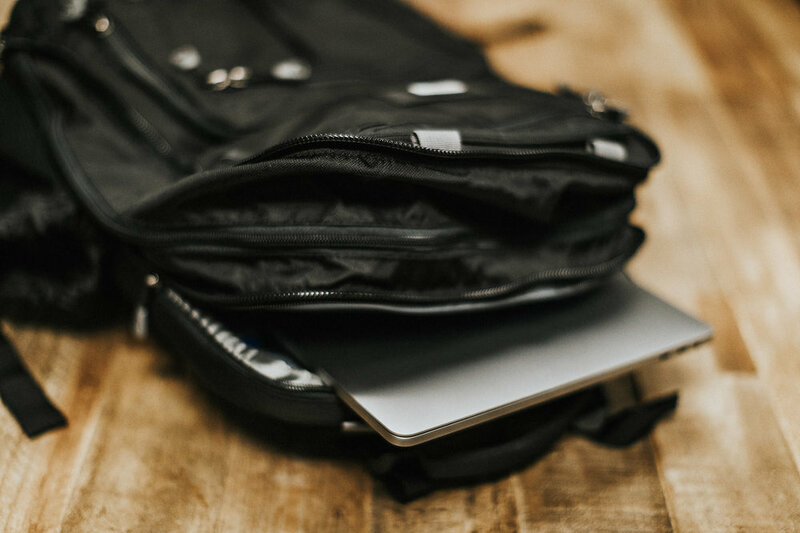 If you are looking for a new backpack bag, this is one of the best on the market. If you are someone that was like me, who simply didn't like backpack bags, I think the Shape Shifter is worth a look. It's quickly become one of my favorite bags.